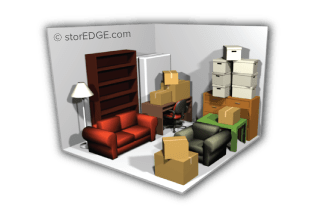 Our storage calculator lets you select from a list of pre-measured, commonly stored items to help you find which size storage unit is right for you. 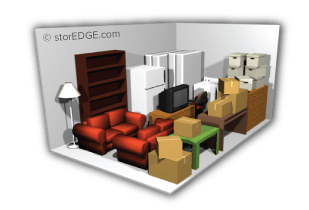 This helps you save the time it takes to get the dimensions of your belongings, and assists in selecting a proper storage space based on the amount and size of items you with to store. 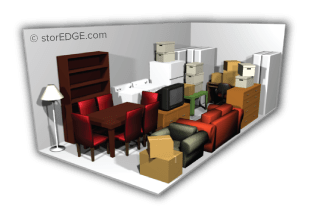 Leave your tape measurer and calculator behind! 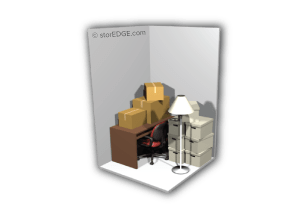 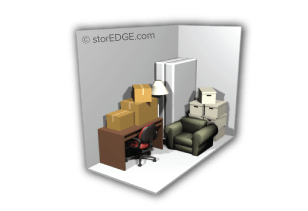 To use the storage calculator, find the items you plan to place in your storage unit from the lists and enter their quantities. 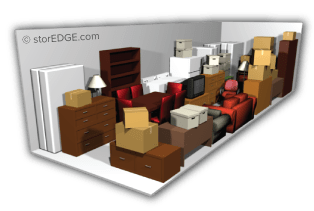 You’ll see the calculator adjust as you add items, showing you an image of the best way to arrange your items in your unit to maximize space, along with an instant estimate of what unit size you’ll need to accommodate your belongings. 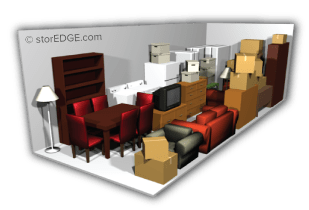 Try it before reserving your space!